Speed logons so users get to work faster. Improve Office 365 performance on virtual desktops. See how we speed up logons. 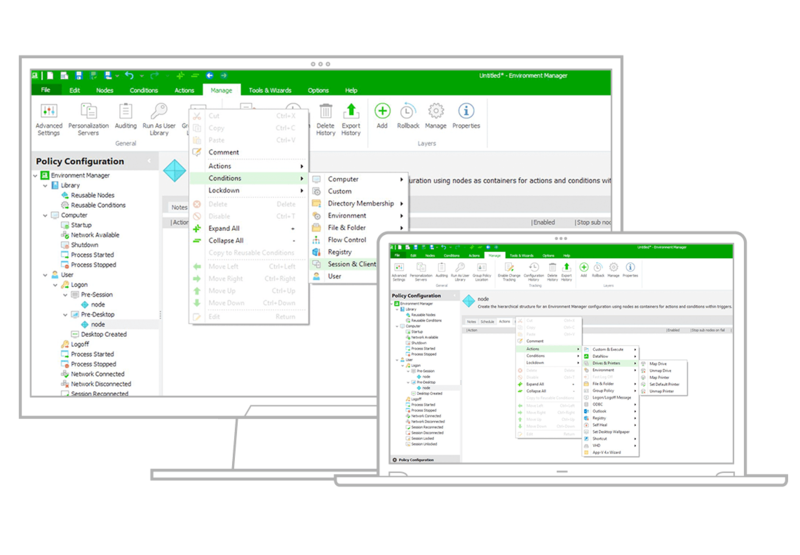 Environment Manager Policy, powered by AppSense, simplifies management, makes users more productive, and improves user experience by enabling IT to control every aspect of the desktop at a highly granular, contextual level. 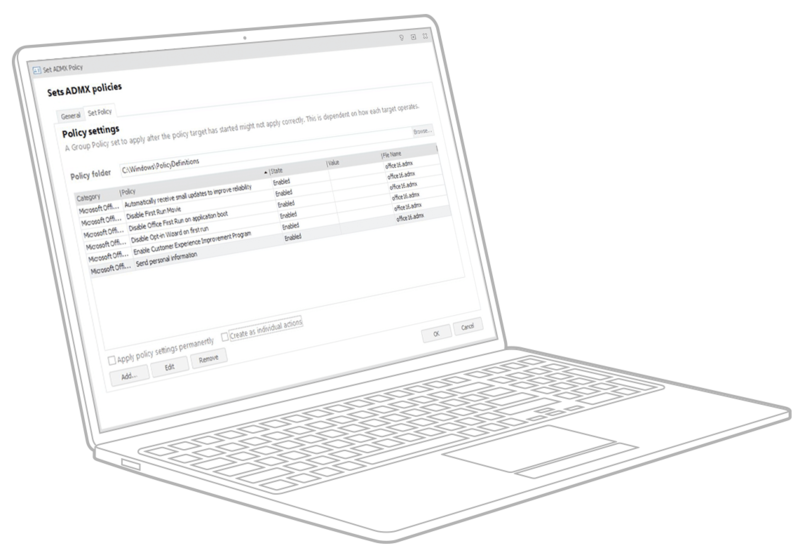 Environment Manager Policy replaces logon scripts and Group Policies with a simple but powerful console for creating advanced, multi-threaded policies that dynamically configure the desktop based on user context. Users get short logons and a responsive desktop that automatically configures to user context. IT gets to control every aspect of the desktop. Win-win. Unlike logon scripts, Environment Manager Policy applies only configurations relevant to the user context. Eliminate GPO maintenance tedium with a single, fast, contextual configuration. No one likes logon script maintenance. Kick it to the curb. Optimised for easy, fast installation, with no additional server or database infrastructure to instal or run. Processes logon actions simultaneously, so users don’t wait. Target policy settings at any combination of user and desktop attributes. Import existing GPO templates to ease retirement of Group Policy. Extensive search and filtering capabilities reduce ongoing maintenance. An easy-to-use graphical console covers all possible desktop actions and configurations. Requires no additional server or database infrastructure to instal and run. Move unneccessary actions out of the logon process and apply on-demand only when needed. Users log on faster and get a better desktop experience that’s tailored to their needs. IT reduces management and maintenance—just deploy agents, instal the console, and apply policy.